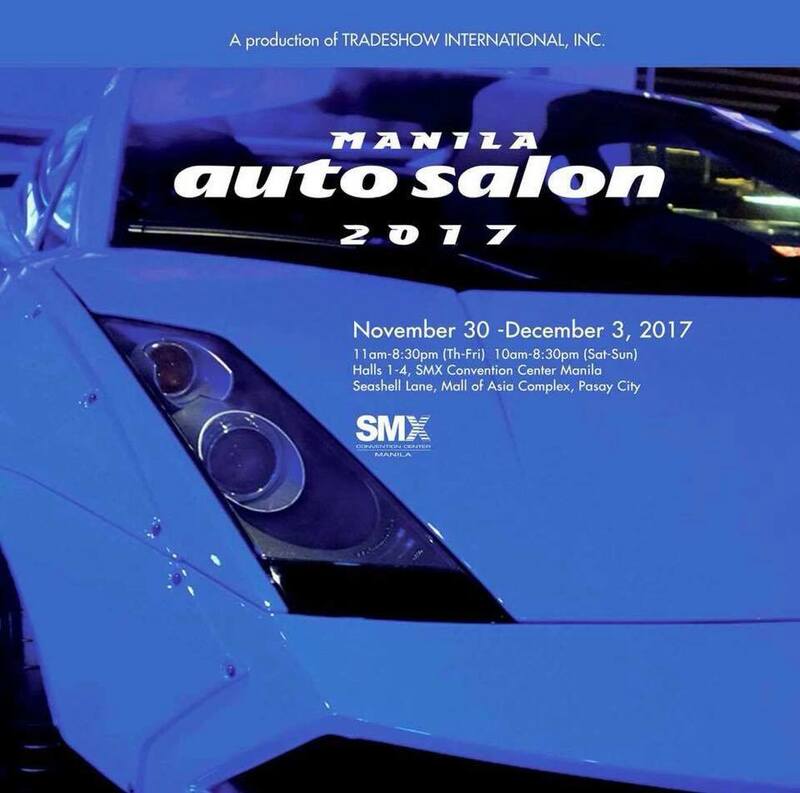 Manila Auto Salon, the biggest automotive aftermarket event in the Philippines organized by Tradeshow International, Inc, is happening on November 30 to December 3, 2017 at SMX Convention Center MOA Complex. 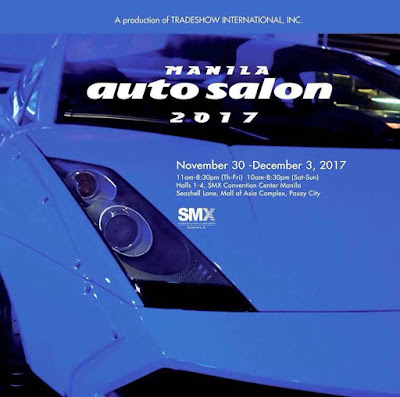 It is held simultaneously with the 23rd Sport Truck Show which is the first and longest running SUV and off road event in the country. Entrance Ticket: P150 available onsite or through smtickets.com.